Traditionally in the beginning of a New Year we inform you about DHL and the latest developments in holographic techniques, new software and developments related to 3D-modelling. In July we invested in a new high power laser and a high resolution Lcos beamer. With this laser we were able to produce the worlds largest computer generated hologram of 30 x 30cm (12 x 12”) on photo resist. The quality of the holographic image was improved by the in house build projector with the new high resolution Lcos-panel. 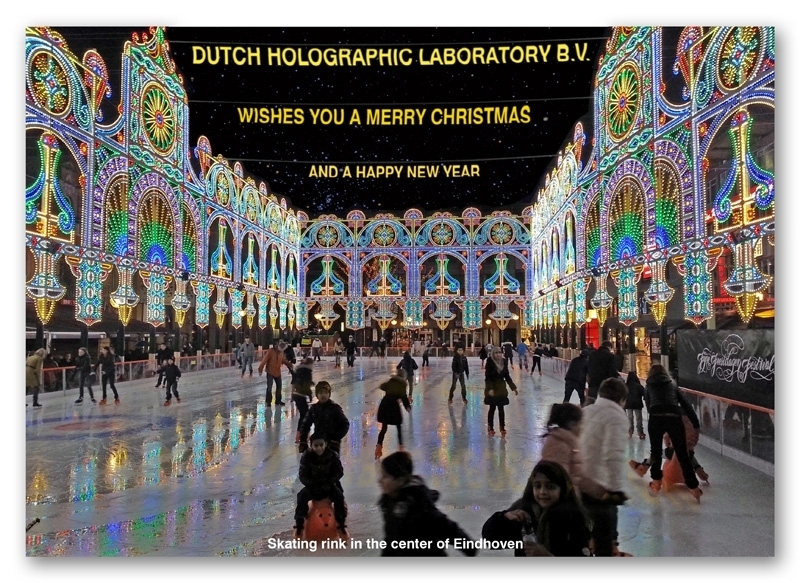 Traditionally Dutch Holographic Laboratory B.V. produces holograms and holographic production equipment but our customers had also an increased interest in 3D lenticulars. We were not unfamiliar with this technique and have done several projects for both national as international clients with amazing results. The DHL-crew wishes you a happy New Year!